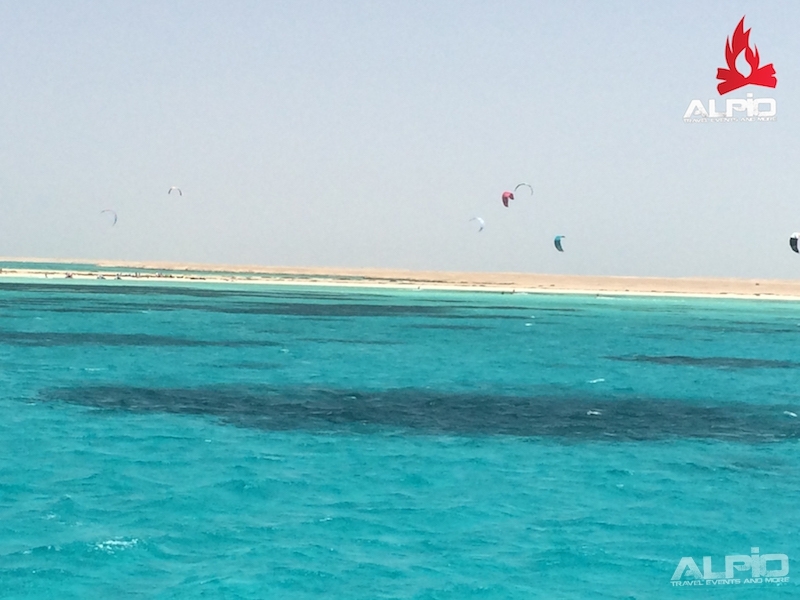 Join us on our amazing kite safari on the Red Sea 2.0 from May 11th until May 18th 2019. 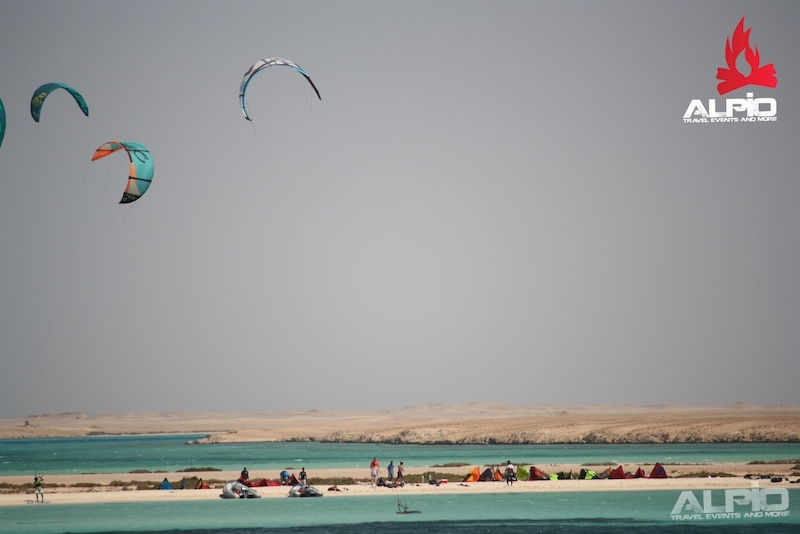 The Red Sea Kite Safari is one of those kite surf trips basically every kite surfer must experience at least once. A week on a beautiful 5* yacht, surrounded by shimmering turquoise sea and mirror-smooth lagoons. 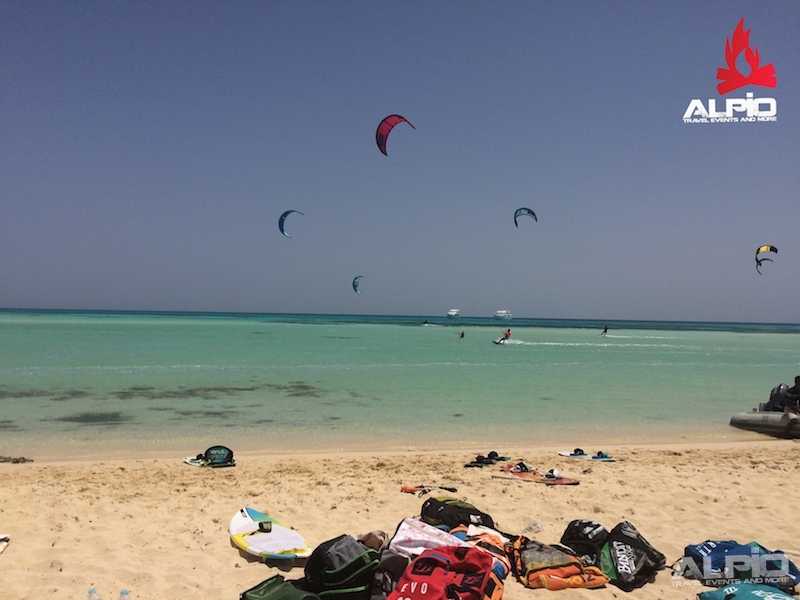 Because we have the freedom of the boat, the conditions are always fantastic, while kiting on this trip, you have all the space on the water, because only the guests of the boat kite surf in the same area. 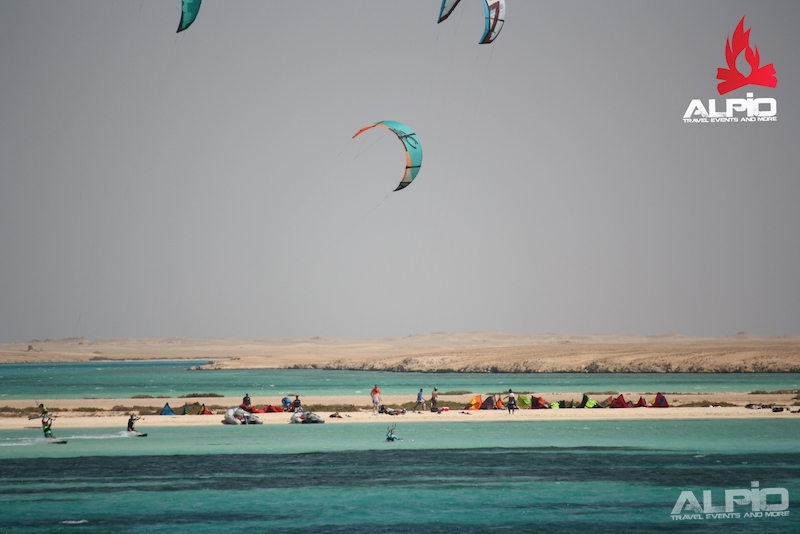 This is a kite surf trip like you've never experienced before! 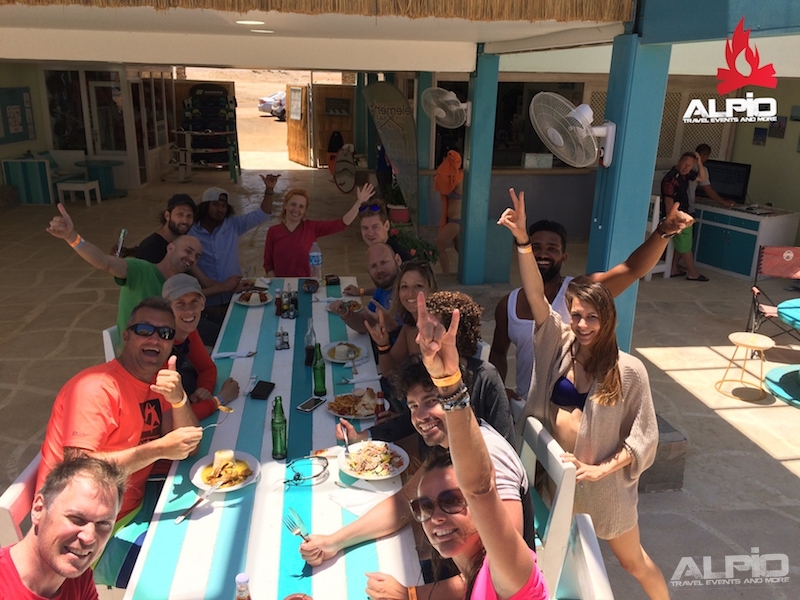 You can completely relax, because all meals are prepared for you. The helpful crew is ready for you to assist you and give the area of safty on the water. 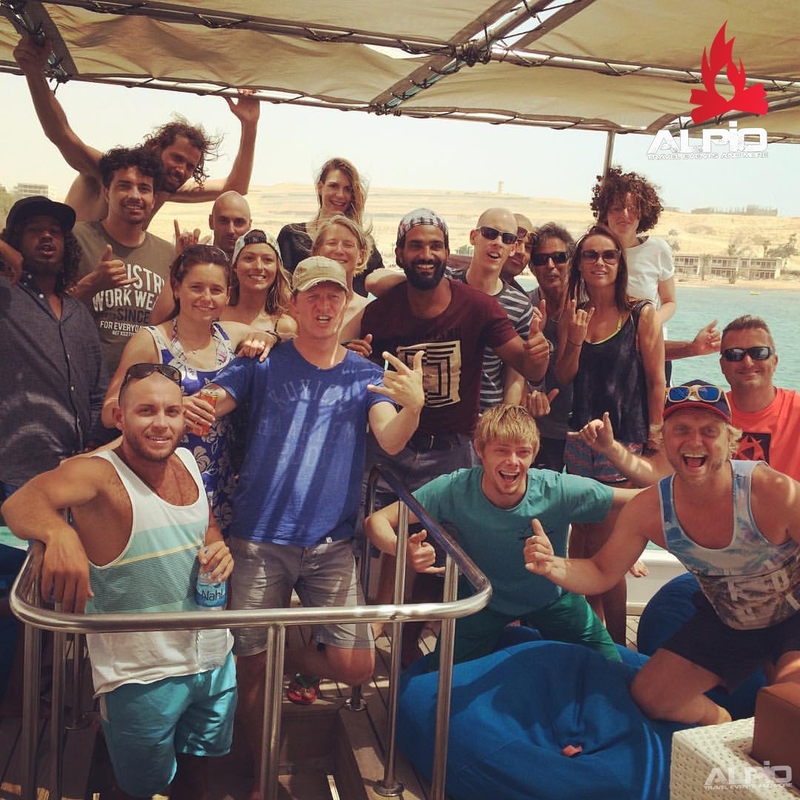 Our freindly instructors on board teach you new tricks and give you tips. 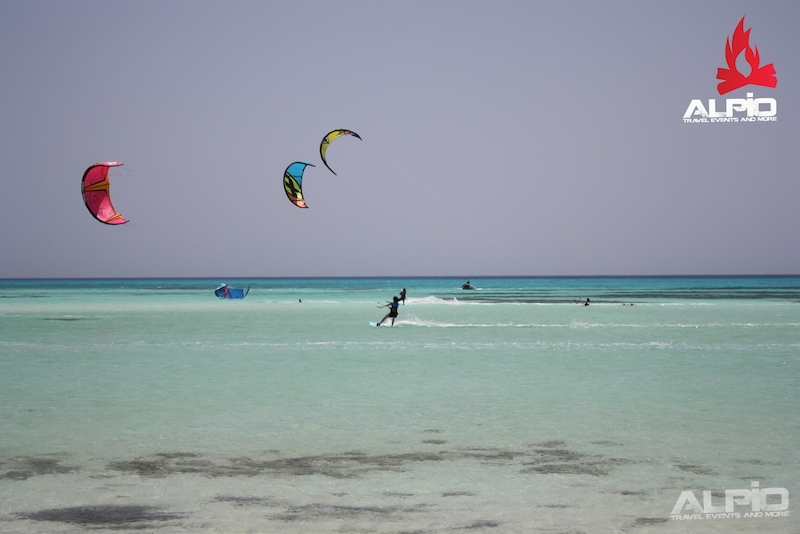 Set your own pace and enjoy with like-minded companions of the beautiful kite surfing spots that are revealed to you. 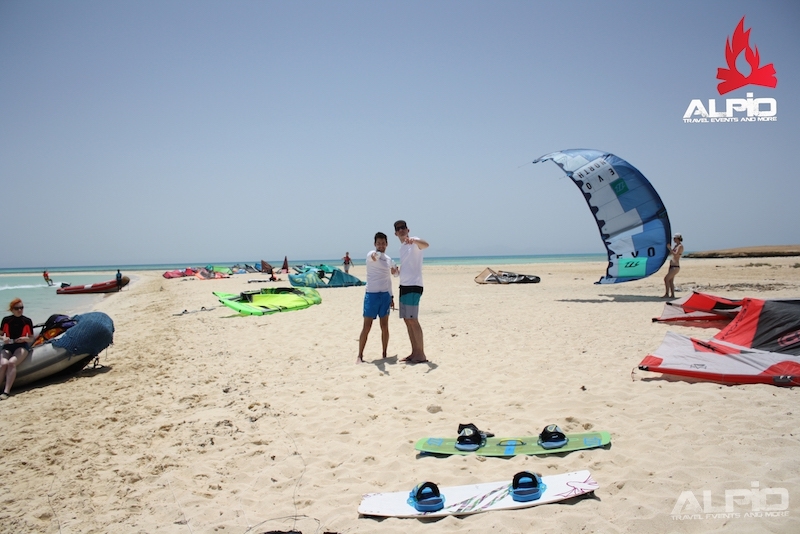 This kitesurf adventure is percent for beginners as well as for advanced kiters. 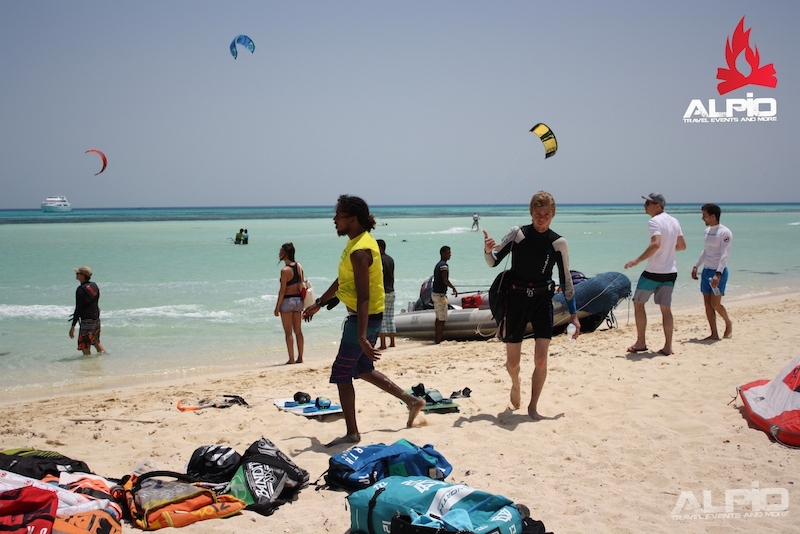 We wil be kiting along small deserted islands where you will have all the space that you need. 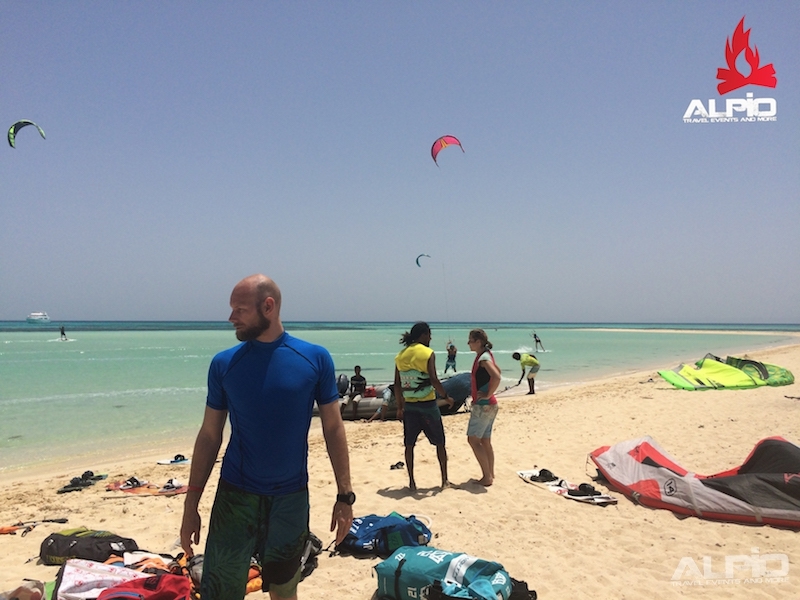 The water is flat and shallow, so perfect for beginners to have a full week of practice and fro advanced perfect to progress and learn some new tricks. 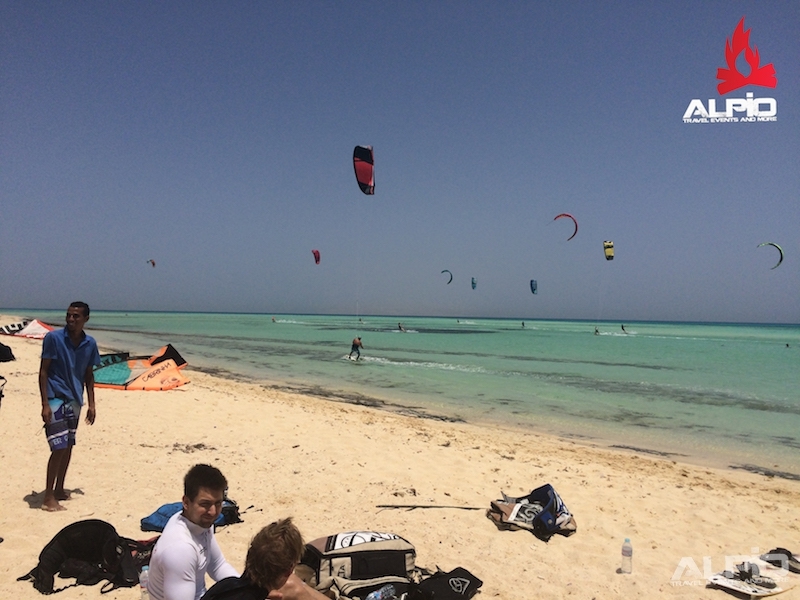 Besides kiting, there are more activities to do on this amazing kitesurf trip. 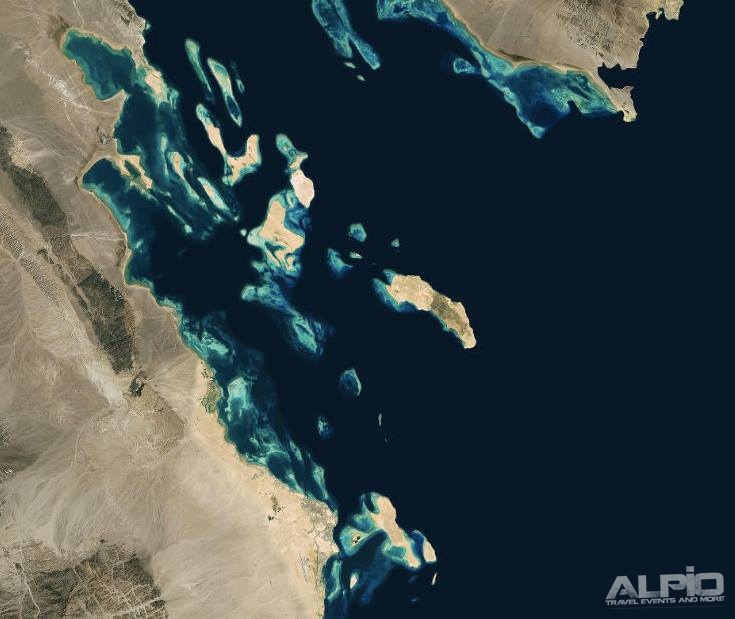 For example, take a look at the wonderful underwater world of the Red Sea; this is after all one of the most beautiful places on earth for snorkeling or diving. 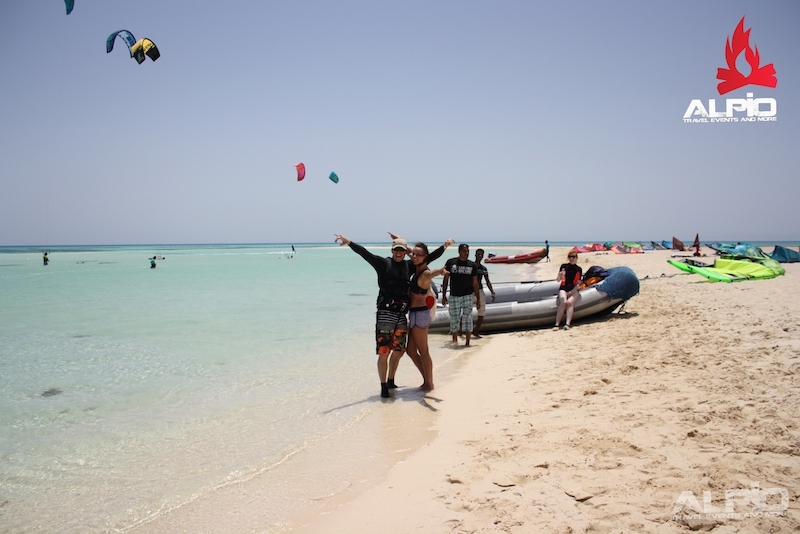 On board we have snorkel equipment available for you or you can even go diving at request. 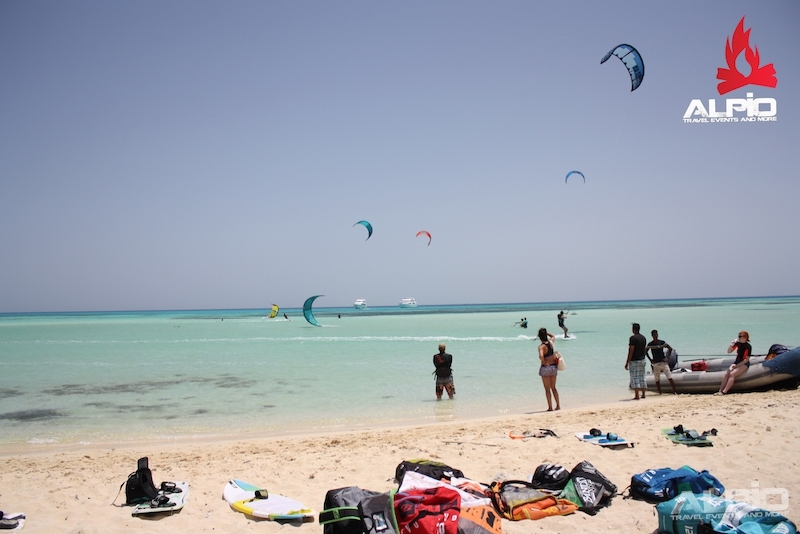 We want to take you on an exclusive trip, to show you what real kitesurfing is about. 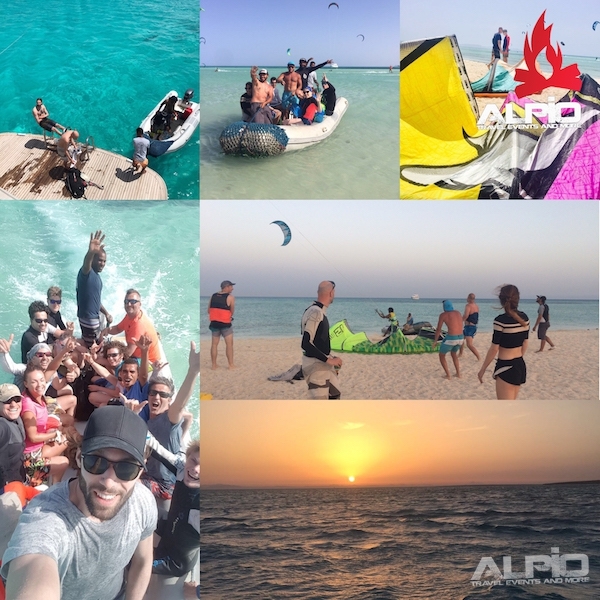 You will spend one week on a yacht with fellow kite enthusiasts, far from civilization and noise. 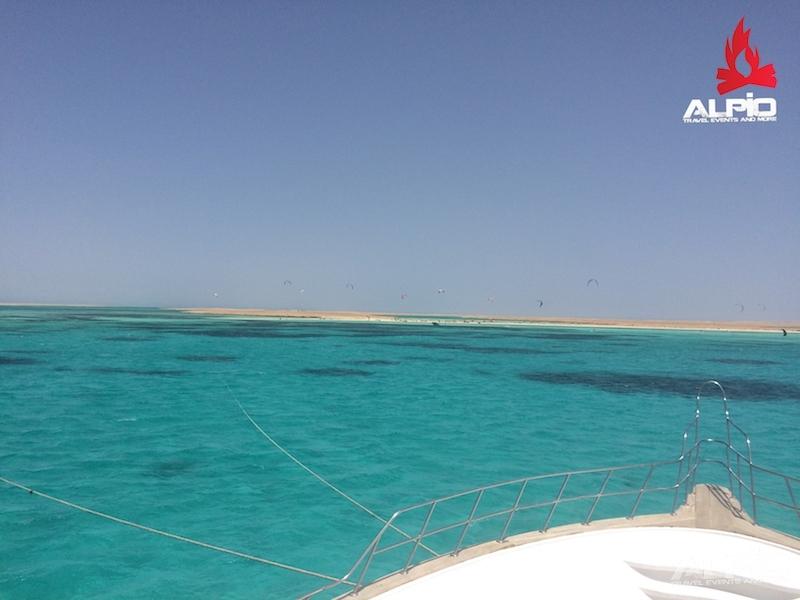 Relaxing and enjoying all the Red Sea has to offer. You may never want to go back to the main land! At over 42 meters in length, this yacht oozes space and elegance. The stylish saloon is huge and beautifully fitted with large sea view windows and swish sofa seating to relax with a drink from the bar or espresso machine, or catch a movie on the 42" plasma screen TV. 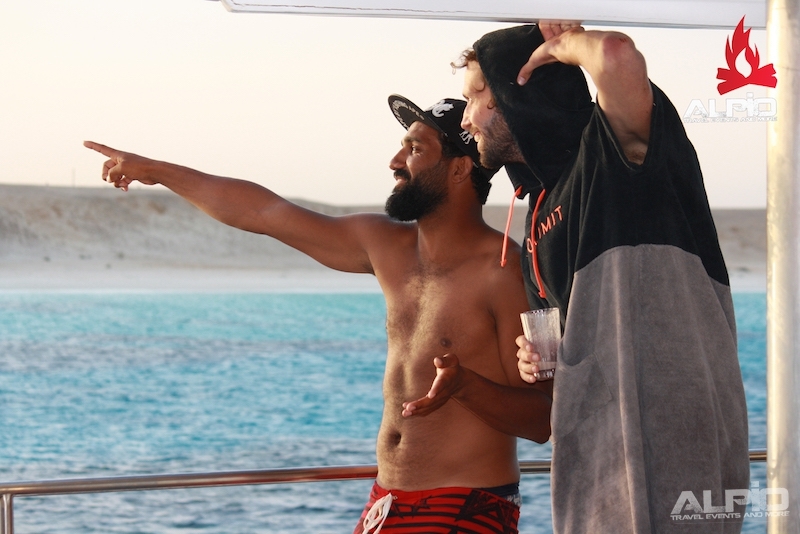 With this yacht you can stay connected with onboard internet access (where available on the Red Sea). There is a dedicated air-conditioned restaurant towards the bow of the main deck. This is the spot on this live aboard where you'll sample fine dining with a touch of class. The ‘standard’ cabins on the lower and upper decks are all bright and spacious with personal unit air-conditioning and private bathrooms. The king-size royal suite (available for a surplus of €125,- pp) is immaculately designed, being large enough for 2 sofas and a separate walk-in shower cubicle in its bathroom. It is also equipped with a personal TV and DVD player. There are 2 more king-size suites on the upper deck with large windows. The 5* yacht dive deck and platform will not disappoint you either. There are toilets, hot water showers, and charging points for batteries. 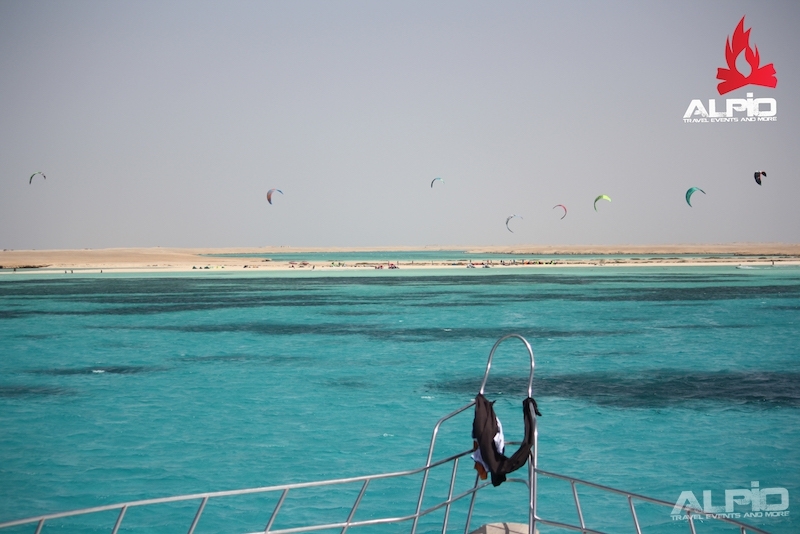 2 large motorized dive dinghies with experienced dive guides will whisk you away to all the top Red Sea dive spots. 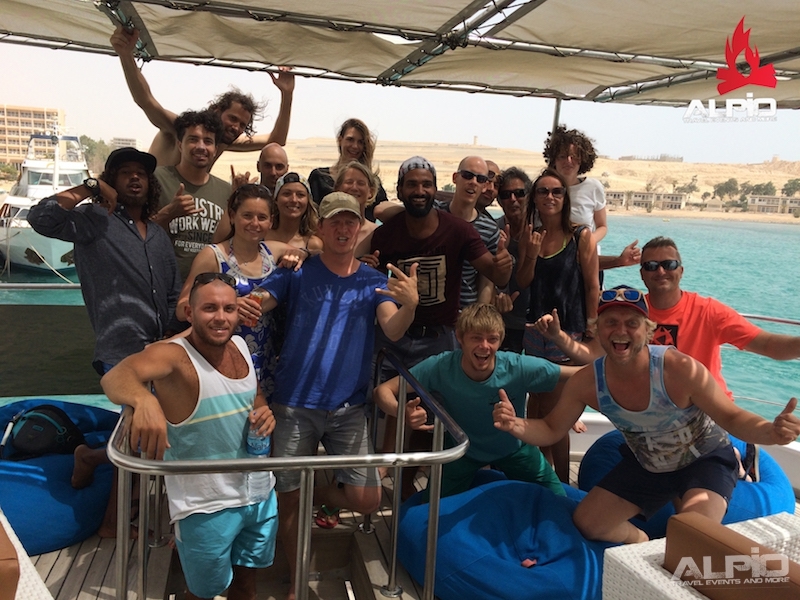 This 5* yacht is master of the universe when it comes to Red Sea live aboard kitesurfing and diving. Away at Hurghada new marina. 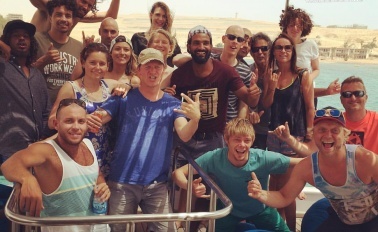 Our crew will welcome you and give you all the advice you'll need for the coming week. 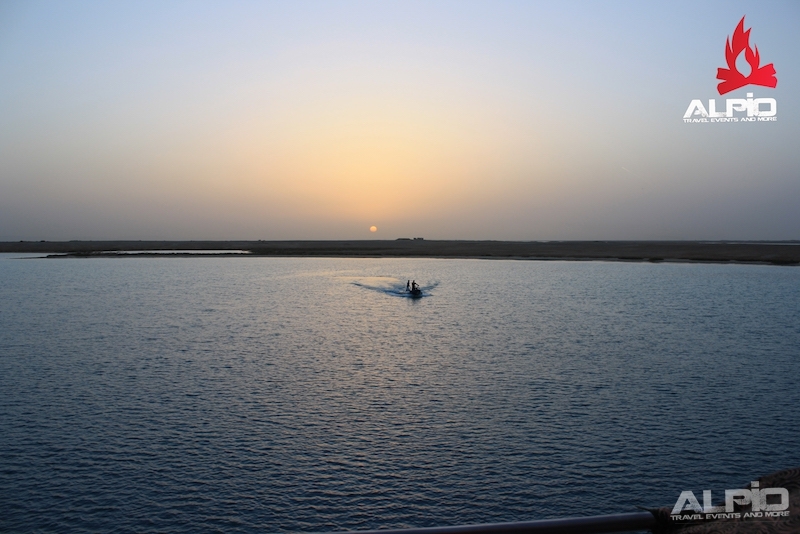 Early in the morning, we leave the lagoon for our next destination. 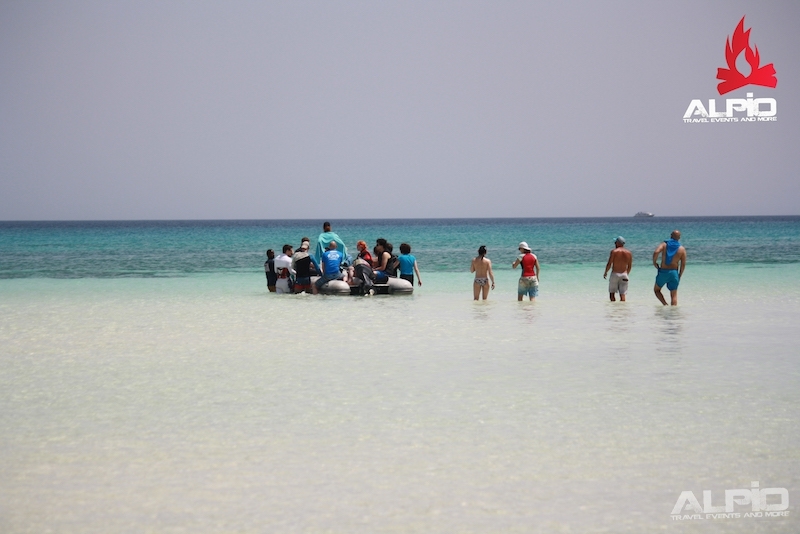 Along the way, we will encounter authentic coral islands with different lagoons with flat water near the shore. Outside the coral reef creates an ideal swell for the enthusiast. 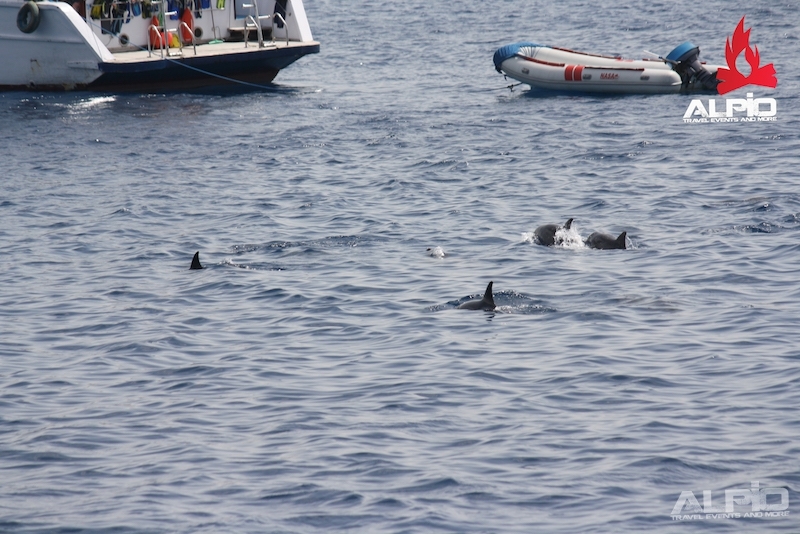 During the safari you will encounter many different types of wildlife. 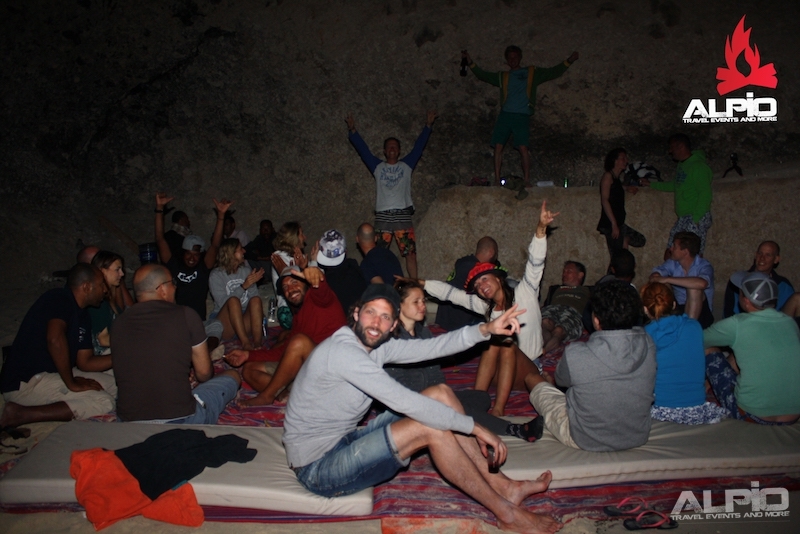 After the sunset session, the crew will teach you how to catch squid..